Croatia closed the international 2016 in Belfast, away at Northern Ireland, and won its first ever match against the hosts. Northern Ireland: Mannus, McAuley (46' McGivern), Evans, Hodson, Brunt (46' McLaughlin), McGinn (61' Paton), Boyce (68' Grigg), Norwood, McNair, Lund (46' Davis), Magennis (56' Lafferty). Head coach: M. O'Neill. Croatia: L. Kalinić (82' Vargić), Leovac, Mitrović, Vida (59' Vrsaljko), Jedvaj, Bradarić, Badelj (51' Brozović), Rog (87' Pivarić), Kramarić, Čop, Mandžukić (72' Ćorić). Head coach: A. Čačić. 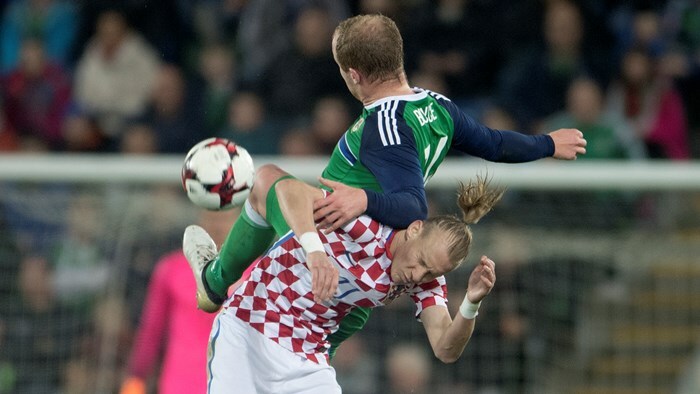 For the first time in history, Croatia national team faced Northern Ireland, and the Belfast friendly international will be gladly remembered, since the Vatreni were efficient despite Modrić, Rakitić, Kovačić, Subašić, Perišić, and Ćorluka all missing out. 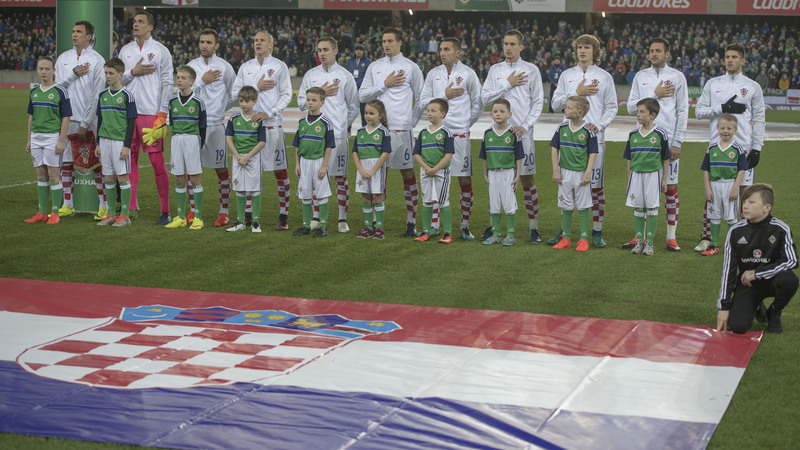 Kick-off was delayed 15 minute due to traffic congestion, and while the home fans could enjoy several Northern Ireland half-chances, Croatia managed to score twice in the first half. Čop tried a low shot from the left after nine minutes of play, Mannus palmed it to Mandžukić, and Croatia captain scrambled the ball over the line. 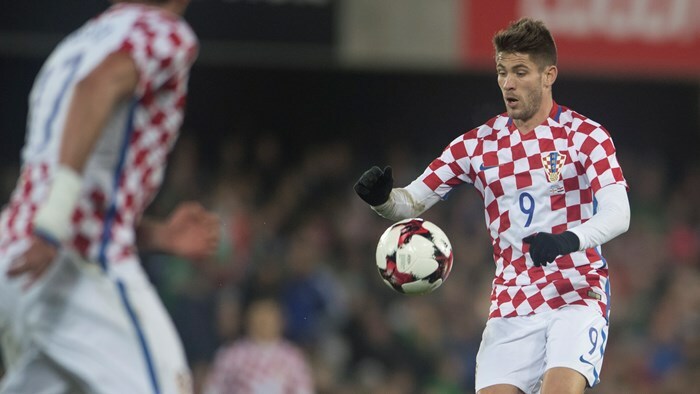 In 35th minute, it was Kramarić with a corner kick, Mitrović with a headed assist, and Čop with a cool, firm reaction to make it 2:0. Not much changed in the second half. Evans and Lafferty twice threatened Croatia goal, but L. Kalinić and Vargić were to intervene, and in the meantime Croatia scored the third. In the 68th minute, Kramarić struck brilliantly from distance, leaving Northern Ireland goalie Mannus no chance. Croatia calmly held on to this 3:0 victory. Mandžukić, Croatia captain in Belfast, joined Eduardo Alves da Silva in the second place among the national team all-time top goalscorers. Both are on 29 goals, trailing only to current Croatian Football Federation president Davor Šuker (45). Moreover, at Windsor Park Čop scored his first Croatia goal. Ante Čačić, Croatia head coach, and Mario Mandžukić, Croatia strikers, were speaking at the press conference in Belfast on the eve of the Northern Ireland friendly. Croatia head coach Ante Čačić is convinced that his team can put in a quality performance in Belfast, despite Modrić, Rakitić, Kovačić, Subašić, Perišić, and Ćorluka being relieved of their international duty for this friendly match. "This friendly must be used to test some players that play less, in order to increase the number of available internationals, since this will be required in the World Cup qualifying. I want Croatia to remain true to its style, regardless of the opponent, to uphold the team spirit, and try to end the hosts' unbeaten streak. They will also want to win and I expect a competitive match where the players will be able to give their best. I am convinced that Croatia will play well", says Čačić. "Northern Ireland is an adequate opponent. They are also high on team spirit, and we want to see who can we count on in competitive matches. Northern Ireland will want to achieve a positive result, since Croatia can motivate anyone, and thus bring a serious note to the match. They are a quality unit throughout the whole 90 minutes, and especially good in set pieces", he added. In Belfast, Mario Mandžukić will be Croatia's captain. "We are all happy that we won the qualifier against Iceland, and now we want to complete this international break in the best possible way. We have many brilliant young players and it is nice to be a part of a such team. Croatia was disappointed following the EURO 2016 defeat against Portugal, but we have turned a new page, continued with good performances and kept the unity. Now we want to go to the World Cup in Russia", he says. "Northern Ireland is a good team, there is no friendly match for them, every single one is competitive. We have to respond in the same manner and then we can expect a good match. We are aware of the quality of some of their players, and they have convincingly beaten Azerbaijan in World Cup qualifying, trailing only to Germany in the group. However, we will be well prepared, as always", concluded Mandžukić.